Cosmetic Surgery Magazine talked to facial plastic surgeon WILLIAM BINDER MD about how the combination of facial features, proportions, and balance determine facial beauty. Whether consciously or subconsciously, we are all sensitive to the shape and dimension of our own face and the faces of others. When the balance is pleasing, the eye and the mind are attracted to them. When they are out of proportion, we tend to consider them unattractive. This is “our aesthetic sense”: the ability to correctly perceive the 3 dimensional interaction of all of one’s features. In general, people are aware of areas of their face in which they are excessive or deficient. This may occur in the form of a weak chin, flat cheekbones, round face, a narrow jawline, or pointed chin. It is important to correctly analyze the magnitude of the nasal profile, the size and shape of cheekbones, or angularity of the jawline on the overall impact they exert on facial beauty. For example, a stronger nose will accentuate a weak chin. Small cheekbones make the nose appear larger, and a square jawline diminishes the significance of the upper part of the face. Having gained insight by accurately studying sculpture and the art of facial proportion, Dr. Binder developed a new way of using the computer to design facial implants that can appropriately and anatomically enhance specific areas of the face. The use of these newly-designed implants in the late 1980s began a whole new field in plastic surgery called facial contouring. From celebrities whose careers depend on their looks, to accident victims whose faces have been badly injured, Dr. Binder has been able to provide and restore healthy, natural-appearing facial contours. He has published extensively on this subject and his book, Facial Contouring and Alloplastic Implants, is the first surgical text of its kind. Three-dimensional computer technology is now used for the production of a new generation of more accurate, anatomic facial implants that permit more effective, long-lasting and pleasing results in facial augmentation. Facial contouring, a major step in the evolution of facial aesthetic surgery, is the art and science of merging plastic surgical techniques with these newer implants designed to improve the relative balance if facial features. These new facial implants not only aesthetically improve bone structure, but can also be used to help reverse signs of aging. The newer types of facial implants are contoured to imitate the natural bone structure and youthful form of the overlying soft tissues. They may extend over a smaller or larger area with different thicknesses to create varying projections, thus enhancing either a portion or the entire cheek or jawline. Goals for facial contouring may be different for each age group. Individuals in their late teens and 20s usually desire a specific structural change in the nose, chin, or cheeks. Those in their mid- 30s start to realize issues of facial aging that might require relatively small surgical procedures to effect major change. Those in their late 40s and older, experiencing substantially greater changes, will require more major or multiple procedures to accomplish their goals. The concern of most people is whether an implant material is safe. Most facial implants are composed of solid silicone elastomer or rubber. Solid silicone elastomer has been used safely for over 40 years in almost every field of medicine and surgery. It is used to cover cardiac pacemakers, in neurosurgery, cardiology, ear and eye surgery, and orthopedic surgery to name a few. Silicone elastomer is NOT the same material used in gel-filled breast implants. 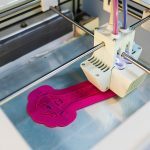 To date, it has the best track record of any biomaterial used for implantation and is the only bio-compatible material that has truly stood the test of time. The performed silicone elastomer implants maintain both shape and flexibility and thus feel perfectly natural over the facial structure. Cheek or midfacial (submalar) augmentation is performed when a patient desires to improve his or her cheekbone structure or wishes to remedy symptoms of midfacial hollows, depressions and folds caused by aging. Cheek or midfacial augmentation can be performed as a single remedy, or in combination with other facial procedures such as a facelift. One of the more dramatic improvements in facial appearance can be achieved by cheek augmentation. High cheekbones are a sign of beauty. This perception of the high cheekbone is actually only part bone, while the other component is the soft tissue covering over the bone structure. Older cheek implants which often created an artificial appearance have been eliminated as a result of the new, more anatomically-designed cheek implants. These take into account the entire area we perceived as “cheekbones” and compensate for both the bone and soft tissue components that comprise the aesthetically desirable “high cheekbone effect”. One of the strongest characteristics of youth is fullness of the cheeks, indicating an abundance of healthy midfacial soft tissues and subcutaneous fat present beneath the skin. Appearance problems of midfacial aging arise in a variety of ways. The aging process, itself, causes erosion of the soft tissues that normally provide a pleasing, smooth, contour to the skin. In addition, if there is inadequate supporting bone structure, the combined effects cause a sagging of the skin. This causes development of folds and wrinkles around the mouth and areas that become flattened, depressed or hollow behind the folds. Restructuring of the midface by midfacial or submalar augmentation can effectively correct these problems. The submalar implant acts to reposition sagging skin upward and outward to fill the midfacial hollows and depressions, and soften the folds and wrinkles. In submalar augmentation, we are not changing bone structure, but merely using the implant to provide a scaffolding to hold up the collapsed midfacial soft tissues. Submalar augmentation is thus able to SIMULATE midfacial soft tissue of adequately padded skin at healthy levels of distention and elasticity – a necessary component of a youthful face. For some in their mid-30s, early disappearance of a youthful appearance is often due to premature loss of facial fat, causing a flattened or hollowed appearance to occur over the midface. This contributes to an individual looking tired, haggard, or older than is appropriate for one’s age. In this situation we have found the relatively brief facial contouring procedures, submalar or midfacial augmentation, to be the ideal remedy to capture a youthful vitality back to the face. For those in their mid-40s or beyond, the aging process may mean that the restoration of skeletal and soft tissue dimensions in conjunction with facelift surgery is the ideal aesthetic surgical solution. 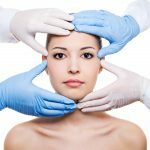 In many instances, smooth draping of the skin and underlying muscles during face lift surgery is difficult. The folds around the mouth are thus unable to be smoothed out without pulling skin too tight, resulting in rapid recurrence of these redundant nasolabial or midfacial folds. The submalar implant is able to provide the necessary foundation to enable the facelift to further reduce these folds by redistributing skin more smoothly over a larger, convex structure and thus adding a more youthful dimension back to the face. The ability for skin to drape evenly and without exerting force prevents the facelift from applying excessive tension on any specific area of the skin and thus avoids, as well as reverses problems associated with the “overdone” facelift. The submalar implant and surgical technique, called “submalar augmentation,” was introduced by Dr. Binder in 1988. Since then, this subject has been published in prominent medical journals and presented at national and international plastic surgical meetings. Midfacial (cheek or submalar augmentation) is relatively simple, taking 45-90 minutes and can be performed alone, or in combination with forehead, eyelid, facelift, nasal, or chin surgery. If the implant procedure is performed separately, the anesthesia given is usually IV sedation or “twilight sleep” administered by an anesthesiologist. If performed in combination with other procedures, general anesthesia may be given. In either case, once you are asleep, a long-acting local anesthetic is administered, providing several hours of numbness to the area after the procedure is over. Normally antibiotics are given before, during, and after surgery to decrease risk of infection. Most midfacial implant procedures are performed through the mouth. The incision is made high above the gum line and a pocket is created over the bone. Since implants come in numerous shapes and sizes, the choice depends on your particular case and desired effect to create the most ideal shape and natural-looking result. Different portions of the implant can be carved to further customize the implant to each individual’s structure. The appropriately-sized implants are then positioned within the pocket and stabilized to prevent them moving out of place. Supportive tissue forms around the implant after a few weeks, and once healed, it feels like your normal underlying bone structure. After cheek or submalar implant surgery, some swelling but rarely any bruising can be expected. Although the main swelling is gone within two weeks, the fine definition and final form of new facial contours gradually emerge after 4-6 weeks. The new designs of mandibular implants wrap around the entire chin and mandible, provide a more natural look from both the front and side views than the older button-like chin implants used years ago. Creating subtle but correct proportion, size and projections to a small, recessive chin may add immeasurably to one’s appearance. Many people have a small chin that recedes or is not prominent enough. A small chin can make a person’s nose appear more prominent than it really is, whereas a chin that is more in harmony with other facial features can draw attention away from the nose and give the entire profile a more pleasing balance. Building up a small chin can also dramatically improve the configuration of the jaw-neck line to effectively reduce the “double chin” when performed in conjunction with a facelift. Manibular augmentation is also easily combined with the removal of submental fat (via liposuction) from under the chin, which also improves significantly the overall effect of mandibular augmentation. Chin augmentation (chin implant surgery) is the classical operation that changes a person’s profile by bringing out the chin or front portion of the jaw bone (or mandible). Sometimes, however, the problem is not the bone structure itself (jaw or chin) but rather the excess skin or excess fatty deposits found under the chin (in the “submental” region of the neck). If this is the case, then either submental liposuction or facelift surgery may also be required. In cases where teeth do not fit together well or there is a severe underbite or overbite, consultation with an oral or maxillofacial surgeon may be necessary. Mandibular augmentation is a relatively minor procedure, performed as an outpatient and takes 30-40 minutes. It can be performed alone, or in combination with facelift, nose, eyelid or cheek implant surgery. If the implant procedure is performed separately, the anesthesia given can be local or IV sedation (“twilight sleep”) administered by our anesthesiologist. If performed in combination with other procedures, general anesthesia may be given. In either case, once you are asleep, a long-acting local anesthetic is administered, providing several hours of comfort to the area after the procedure is over. Normally, antibiotics are given before, during, and after surgery to decrease risk of infection. The procedure is performed by making a small incision either in the small crease line under the chin or inside the mouth where the lower lip joins the teeth. Placing the incision in the submental crease, below the chin, makes the scar (via the external route) virtually inconspicuous. A small pocket is created directly over the bone to approximate the size of the implant. Different size and shape implants may be tried out during surgery to find the most appropriate one that will create the most ideal shape and natural-looking result for each individual patient. Dr. Binder, believing the application of computer technology will undoubtedly play an ever-expanding role in gavial plastic and reconstructive surgery, combined three-dimensional (3-D) “CT” scanning with today’s computer capabilities to design a system capable of fabricating custom-designed implants that enable the reconstruction of most facial contour defects with a much greater degree of accuracy. Traditionally, major facial deformities with functional disability are treated with orthognathic surgery. This involves cutting, moving and grafting of bone. However, for many patients these procedures are not possible due to the enormous expense of surgery and hospitalization. The ability to procure precise implants or grafts to be used to accurately reconstruct facial contour defects has also been difficult. Carving and modifying bone or cartilage grafts or using “off the shelf” implants to reconstruct complex contour deformities is often unsatisfactory due to their failure to conform precisely to the underlying surface. However, advances in computerized X-ray imaging such as the CT or CAT scan and computer technology utilizing the 3-D Accuscan process have now solved most contour problems. This process begins with a CAT scan taken of the anatomical area surrounding the defect. A computerized three-dimensional image is created from the scan and is available for examination through a video screen. It is then transformed into an exact life-size model of the skeletal structure. The anatomical model is then used to facilitate production of an extremely accurate implant that will exactly correct the contour deformity. The back surface of the implant is extremely precise, fitting the contour of the bony defect and interlocking with the underlying bone to provide long-term stability, preventing movement or slippage. The application 3-dimensional computer imaging technology expedites surgery for ease of application and more exacting results since most of the work to create the implant is performed prior to surgery (requiring very little modification during the actual operation) reduces while the patient is under anesthesia. 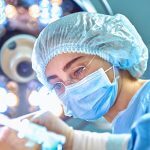 With the actual procedure minimized, operative time is reduced and the procedure can usually be performed on an outpatient basis with less complications and a considerable reduction in cost.